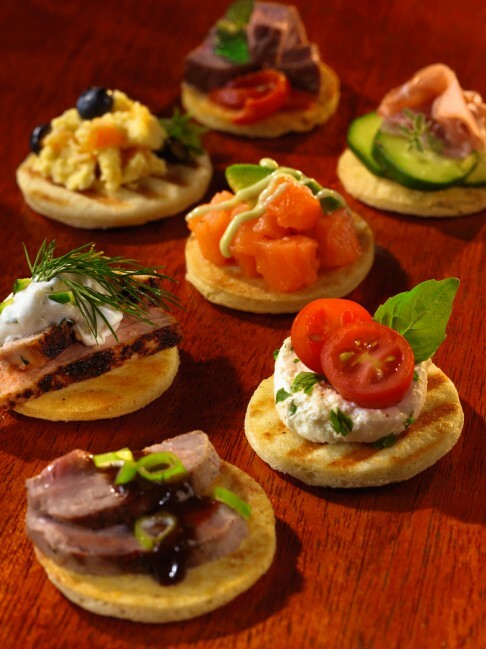 A Page From the Kontos Cookbook …Get Ready for the Big Game with Mini Flatbread Appetizers - Kontos Foods Inc.
Paterson, N.J. – Jan. 25, 2016 – Everyone knows that Big Game parties are all about the appetizers and finger foods. This year, try offering something new and delicious on your football party buffet: A colorful variety of hors d’oeuvres served on a warm, fluffy, mini pita bread called Kontos Cocktail Flatbreads. The Kontos Cocktail Flatbreads, which contain no trans-fat and are 100% vegetarian, come in 20-piece retail packs. Kontos sells its products to retailers and foodservice establishments across North America and around the world. Find Kontos Foods on Twitter @KontosFoods, on Facebook at https://www.facebook.com/Kontosfoods and on Pinterest at https://www.pinterest.com/kontosfoods/.